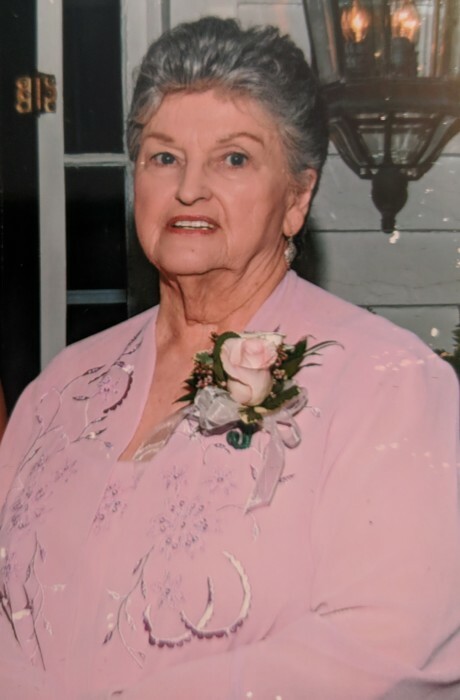 Sue “Lovie” Pelfrey, age 86 of Gainesville, Georgia passed away on Sunday, November 25, 2018. She resided with extraordinary caregivers, Matt and Amanda Anderson. Sue was born July 23rd, 1932 in Bartow County, GA. She was known to be a devout Christian, reading her bible, and strong in her faith. She worked for Lawyer’s Title in Marietta, GA for many years before moving to Gainesville. She enjoyed being a Mary Kay consultant and driving her pink Cadillac, but being “Lovie” to all her grandbabies was her greatest joy. Her last employment was at Legacy Link where she received several awards while working to help other seniors find employment. She was preceded in death by her son, Howard Dennis Fortner, and grandson, Brent Ferguson. Survivors include daughter, Suzanne Ferguson; grandchildren, Stan Ferguson, Eric Ferguson, Amanda Anderson, Pamela Fortner, and Sean Fortner; great-grandchildren, Caleb Ferguson, Ivey Ferguson, Eve Ferguson, McClain Ferguson, Julia Ferguson, Grayson Anderson, Alena Canada, Alivia Anderson, Christian Isbell, and Collin Owens; and great-great-grandson, Cooper Ferguson. Funeral services are scheduled for 11:00 AM Tuesday, November 27 at Hillside Chapel Funeral Home in Gainesville, GA.
Pastor Keith Phagan will officiate. Interment will follow at 2:00 PM in Pineridge Memorial Park Cemetery in Kennesaw, GA. The family will receive friends at Hillside Chapel Funeral Home in Gainesville from 4:00 PM until 8:00 PM on Monday, November 26. Hillside Chapel Funeral Home 1190 McEver Rd. Gainesville, GA is in charge of arrangements.